Insects and pests are basically nature’s “garbage collectors”. Their main role is to remove aged and stressed plants from the landscape. Urbanized plants and trees can live a rough life, and without proper attention, can be overcome with predatory insects such as aphids and scale. 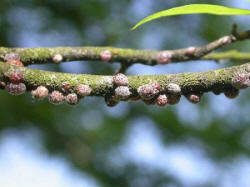 Aphids and scale insects consume the sugary sap from your trees and shrubs and cause them to slowly decline and die. Cankerworms (also known as "inch worms") feed on the leaves of your trees and shrubs. During the spring season cankerworms can totally defoliate a mature tree. The tree must push new leaves to survive. In many cases the tree is already stressed and the attack from canker worms brings on sudden death to the tree. Shrub Doctor takes a proactive approach to insect management. We inspect your property at each visit to correct early signs of insect activity. We also utilize systemic insect controls, to protect your landscape from seasonal insect damage. Shrub Doctor utilizes many organic insecticides. We also maintain current state licensing required for pest control applications. Don’t allow your trees and shrubs to be bullied by insects this season. Call Shrub Doctor today for a free evaluation, and solution to your insect problem. Similar to humans, shrubs and trees can catch bacterial infections, and be subject to damaging fungus activity Again, many reasons for plant decline are due to urbanizing the landscape. Poorly drained, compacted soils are breeding grounds for predatory fungus. Overly watered plants often develop “wet feet”. This condition leads to advanced root fungus damage that eventually kills the plant. Tree diseases cause rotting cavities in the trunk and limbs. 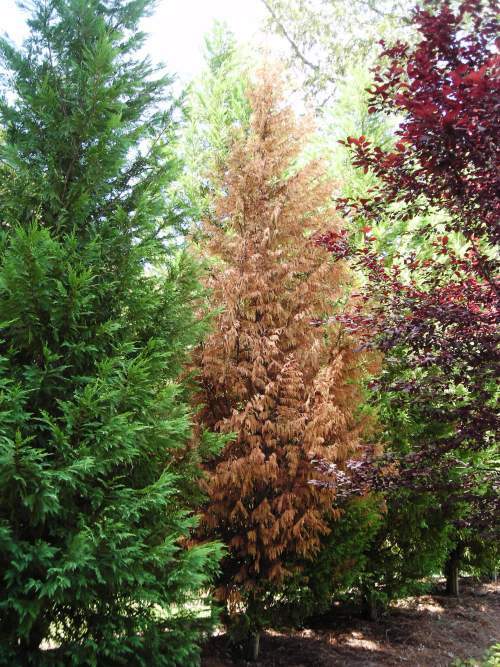 Diseases such as seridium canker of Leyland Cypress, can cause devestating losses to your landscape. 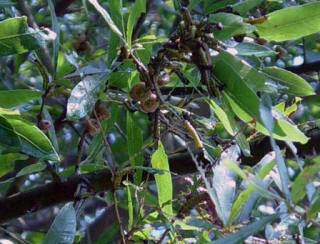 Shrub Doctor has considerable experience in treating shrub and tree disease. 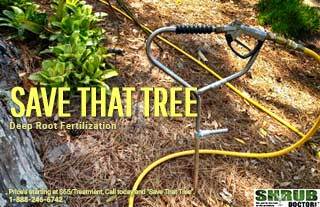 Our "Save That Tree" program allows Shrub Doctor to monitor your precious trees for rot and decay. 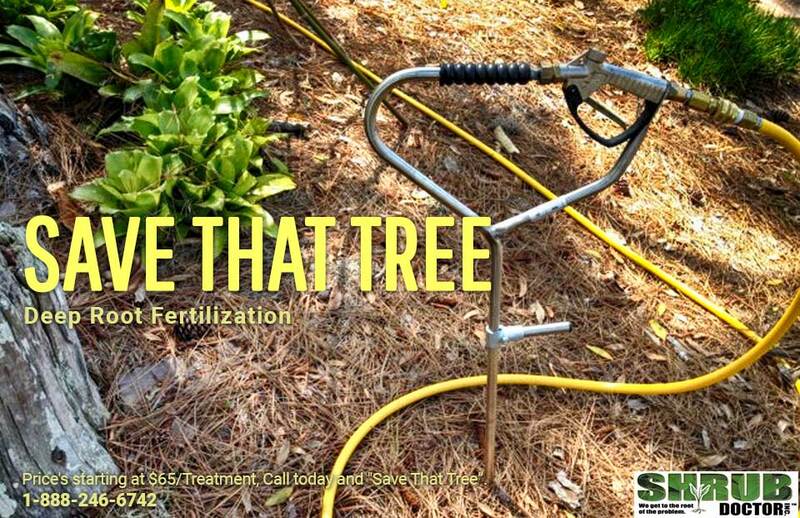 In addition to our tree monitoring program, Shrub Doctor can fertilize your trees with beneficial organic nutrients to keep them strong and healthy for many future seasons. Besides treatments, we work with you to improve your knowledge of plant health, and help you develop “best practices” that will eliminate disease outbreaks in the future.